Spicejet Boeing 737-800WL VT-SGK at New Delhi airport. SpiceJet has reported its highest ever profit of Rs 407 crores for the financial year ending 31 March 2016. For the quarter ending 31 March 2016, the airline reported a net profit of Rs 73 crores. Strong performance indeed, considering that the airline had reported a loss of Rs 687 crores for the last financial year. Early during this financial year, the airline had to bring their fleet down by a massive 22.8% as a result of the cash-flow challenges faced in the second half of fiscal year 2014-15. Yet on a seat-kilometre capacity basis, SpiceJet registered only a 11.2% reduction in ASKMs (Available seat Kilometre) by improving their aircraft utilization to 11 hours a day. Combined with a strategy to target the leisure segment and stimulate demand with low fare offerings, Spicejet registered an impressive 11.3% increase in the load factor and led the industry for the year in terms of passenger load factor. For almost the whole year the airline filled over 90% of its aircraft capacity. In spite of the lower fleet, and the corresponding reduction in expenses, SpiceJet carried a total of 11.9 million passengers, almost same as the last year. This year the airline has paced its expansion and is relying to improved operational efficiencies, keeping costs in control. All of which are indicative of a robust and well operated company and will continue to yield results in the future as well. The number of destinations in network has been trimmed, is now stands at 34 within India and six international, and with a clear focus of moving away from metros. The airline has showed remarkable recovery amidst operational optimization. Well timed and much needed fare sales that not only protected the brand equity but also provided an operational continuity. The behind the scenes operations of the finance team cannot be overlooked. The entire airline team along with its leadership, including some who have now left the airline, have to be commended for the remarkable feat of recovery achieved by them. It remains to be seen how the company’s strategy evolves with regards to additional capacity induction given that the government is attempting to finalize the draft aviation policy including the point on the 5/20 rule. 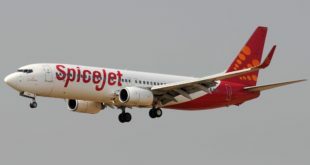 For the year Spicejet had operating revenues of Rs 5,020 crores which were 2.9% lower than last fiscal, primarily as a result of lower yields, which is in line with the global trend. We must remember the airline has reported better asset utilization for the current year as compared to the last year. Operating revenue per aircraft was up by 25.8% as compared to the last year. This is also on the back of higher load factor in addition to the aircraft utilization rate. As compared to the last year, Revenue Per ASKM (RASK) improved by 9.3% to Rs 3.90. On the cost side, escalations were seen in maintenance expenses. This is largely due to one-time maintenance expenditure of Rs 173 crores because of increased liability towards engine maintenance obligations. On a year-on year basis, operating costs were down by 20.5% primarily as a result of lower fuel costs and reduction in fleet. On a unit level, Cost per ASKM (CASK) went down by 10.5% to Rs 3.60. If we exclude the one-time maintenance expense, CASK decreased by 13.9%. However, CASK excluding fuel went up by 7.5%. This was primarily due to 20.8% higher lease rentals per aircraft – a result of both currency depreciation, and acquisition of the new aircraft by the airline under wet leases (which includes crew). 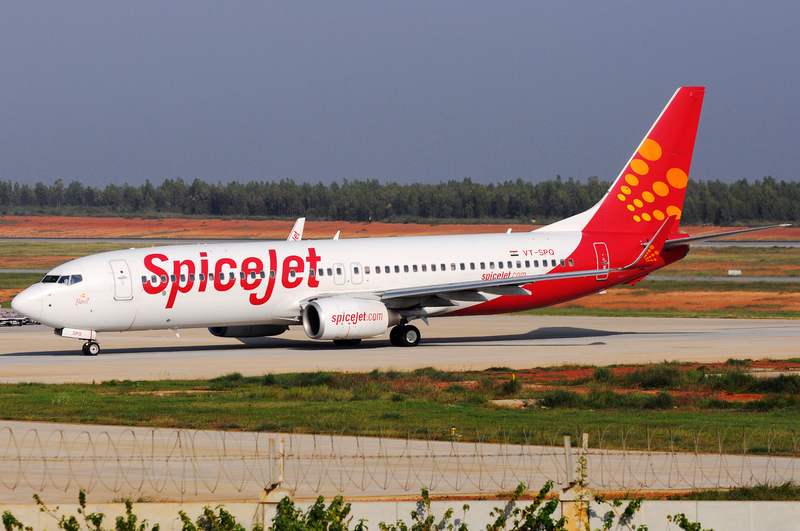 Riding on favourable market conditions and operational efficiency, SpiceJet reported a net profit of Rs 73 crores for the quarter ending March 2106 (a Rs 50.7 crores year-on-year improvement) and a highest ever net profit of Rs 407 crores for the year ending March 31 2016 (a positive change of Rs 1,094 crores as compared to the loss of Rs. 687 crores for FY 2015). The EBITDAR (Earnings before Interest Tax Depreciation Amortization and Rentals) margins increased from 3.4% in FY15 to an impressive 23.3% in FY16. This is the fifth consecutive profitable quarter for SpiceJet since the challenges faced in the quarters ending 30 September 2015 and 31 December 2015. While the company is still faced with negative net worth of Rs 632 crores, it is a marked improvement from a negative net worth of Rs 1,086 crores from the earlier year. Net worth of a company is excess of a company’s assets over its liabilities. It represents what the investment of the shareholders measured as the company’s worth is as at the last day of the financial year. SpiceJet has a pending order for 42 Boeing 737 MAX8 placed in March 2014 which we estimate is around $4.5 billion at list prices. In the financial reports, the company has taken a provision of 173 crores for fleet replenishment. This would tend to indicate that an aircraft order is eminent. We feel this provision is likely towards the commitment fee and the pre-delivery payments (PDPs) which usually are in the ten per cent range, of the aircraft value. We also estimate that Spice will see how the market evolves prior to going in for any new fleet order, and will supplement the fleet in the interim period with wet leases. 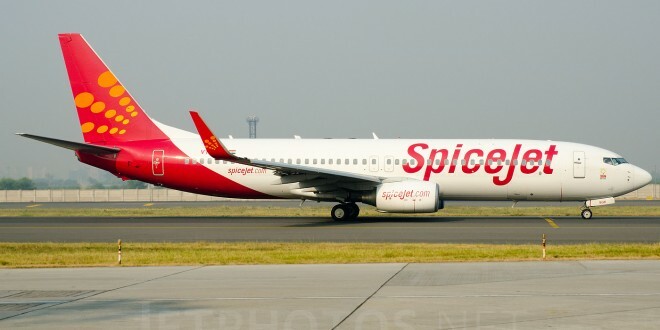 SpiceJet will also faces challenges as it has to incorporate lessors reaction given the earlier financial challenges and what the differential would be on the lease premiums. For any order directly with an OEM, the earliest slots would likely be towards the end of 2018 thus near term capacity additions will have to be considered. While seven or eight Boeing 737s will be inducted over the next 12 months, these should be for replacement capacity. Finally, if Spice continues with the dual fleet strategy it would require two separate orders to supplement the fleet. Without doubt, SpiceJet is the poster-child of a great turnaround story. Apart from the favourable market conditions, SpiceJet has been able to play best hand possible with cards it was dealt. Forced to reduce its fleet, hence market share, cancel flights and face irate passengers and threats to its brand, the airline used a distressed situation to rationalize its routes, optimize resources and restructure its bloated cost structure. The Auditors are still uncertain regarding the company being a going concern. Yet, we remain optimistic about the company. The airline has recorded load factors of over 90% consistently over the last 11 months which is the highest in the industry along with an effective revenue management. Well timed fare sales, along with improved performance such as On Time Performance of around 90% and one of the lowest cancellations rates in the industry have not only helped the company prevent brand dilution but also enhance it. We think the company can make a complete come back and reach higher heights if it continues to optimize its operations along with favourable market conditions.